Choose Username, Email, First and Last Name, Your Website URL, Create Password, Country, and then choose to pay via PayPal, credit card or Payza. The original Amazon review club known as “Reviews for Free” has shut down and restarted as “Amz Deals Club.” Same owners and operators, just a new program name and guidelines. In the vast majority of programs, Sellers and Brands pay these programs to get their product into the marketplace and even featured in the periodic emails they send. 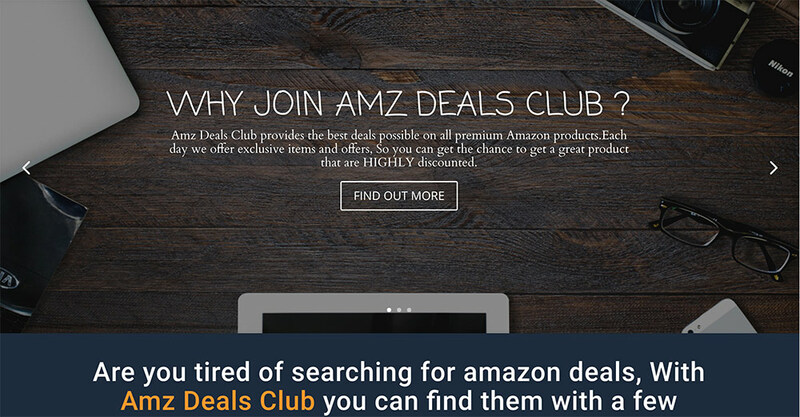 Amz Deals Club is free for Sellers and Brands to join. Meaning, I expect A LOT of them to flock to this program since many find the cost of these programs prohibitive. As a buyer/shopper, $2 a month is a fair price to save 85% off products that you aren’t even required to write a review for. While clicking around the marketplace I noticed that all the products I clicked on were items sold on AliExpress. No coupon code needed, already discounted. I can’t speak for the entire marketplace, but assume this program is not Amazon-specific, and may have discounts from other sites as well. We have made sure to transfer your REVIEWS FOR FREE account info over to the new site. If you are not able to log into the new site.Simply do a password request to fix the issue. I joined!—Now how do I get proceed?!! AmzDealsClub offers one of the most lucrative affiliate programs online. Get compensated for referring other member’s! So why not have multiple streams of income,As your earnings potential is unlimited. It links to aliexpress not Amazon. I’ve requested that my account be deactivated from the Amz Deals site. Can you tell me how long that will take? Thank you!